For hospital leaders sifting through hundreds of options in the quest for the best clinical communication platform, new industry reports from KLAS (Secure Communication 2016) and Gartner (Market Guide for Clinical Communication and Collaboration) have helped define the market and identify the technology leaders. Notably, KLAS outlines the key difference between standard and platform solutions: Whereas standard vendors offer secure messaging only, platform vendors build on secure messaging to include a more robust array of building blocks, interfaces, and third-party integrations. But while this transformation from stop-gap to enterprise is crucial, it’s not enough. We’ve developed a white paper to help you identify and implement the right clinical communication solution for your facility—one that goes beyond simply being able to talk, text, or send images. 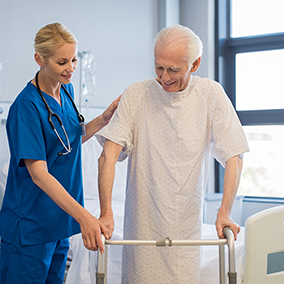 The white paper will draw from a decade of experience in clinical workflows, demonstrating how a grounding in care team planning and care plan execution delivers benefits far beyond what’s expected of today’s clinical communication systems. Download the new white paper, “The Essential Unification of Communication and Workflow,” here. Required technology adoption has resulted in the increasing fragmentation of data and care delivery. These challenges are made more difficult by the fact that legacy communications systems don’t integrate meaningful clinical context. To solve the problem for both clinicians and IT, hospitals must start with clinical workflow and the care delivery experience, then work outwards. This means approaching clinical collaboration as more than just a technology fix. The impact of this approach is multifaceted: not only does it transform the experience of care by embedding meaningful clinical context into communication and providing instant access to updated information—it streamlines and enables workflow to mitigate the siloes created by EMRs and other clinical technologies. Clinicians and IT teams have been burned in the past. It’s hard to blame them for skepticism about the promises of “ease of use” and “simple integrations”. The new baseline for secure communication is a platform that integrates with your existing infrastructure and leverages data from disparate systems—and while this approach is a step up from secure texting, even that’s not enough. 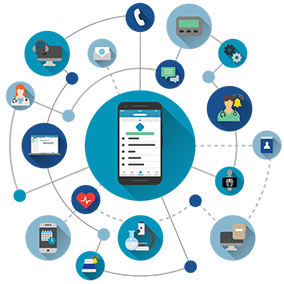 The potential is only realized through a completely synchronous mobile experience spanning every element of each care team member’s day, from medication administration to transport to checking in with the physician about how to treat a patient’s pain. The result? Ease of use, higher adoption, better compliance, and safer care. 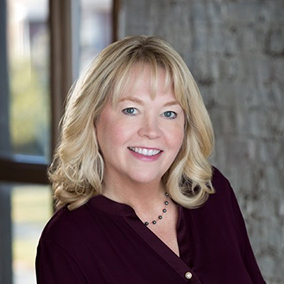 Care team collaboration solutions should deliver more than just connectivity across doctors, nurses, hospitalists, case managers, pharmacists, phlebotomists, rehab, discharge, transport coordinators, and more. Think of the customization engines becoming so common with consumer brands like Amazon, Apple, and Netflix—and imagine how that level of customization and context could improve the care team experience. In the next generation of clinical communication, each care team member will have a prioritized mobile dashboard that shows the relevant information to drive the next action in the care plan, quickly moving care forward and closing the loop on activities once completed. And through seamless API integrations, organizations can reach outside their walls into adjacent care settings, supporting care transitions and enabling a path to value-based care.